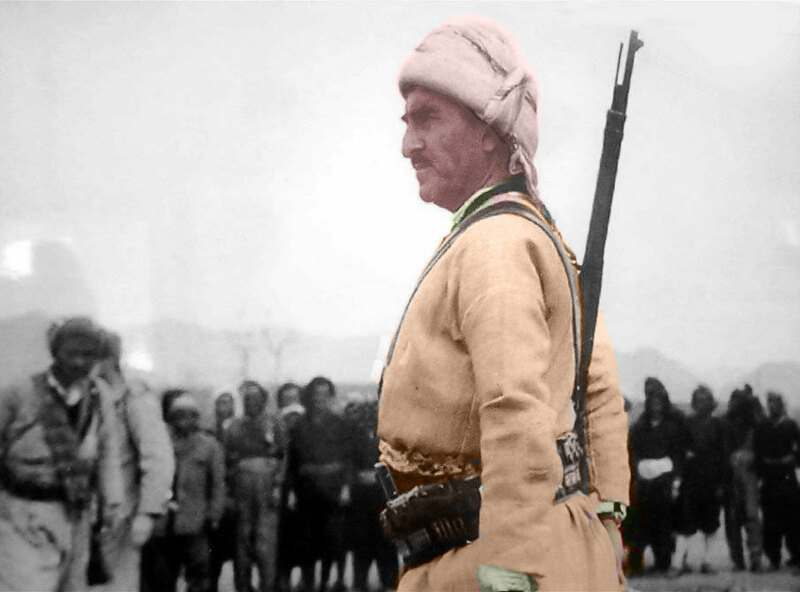 Mustafa Barzani was born in the village of Barzani on 14th March 1903. In 1906, at the age of three, after uprising against the Ottoman Empire, he was detained with his mother in Mosul Prison. In 1919,At the age of 16, he took part in Sheikh Mahmoud's uprising commanding a 300 man force. In 1925, he visited Sheikh Said Piran (in northern Kurdistan) as a representative of his elder brother, Sheikh Ahmad Barzani. 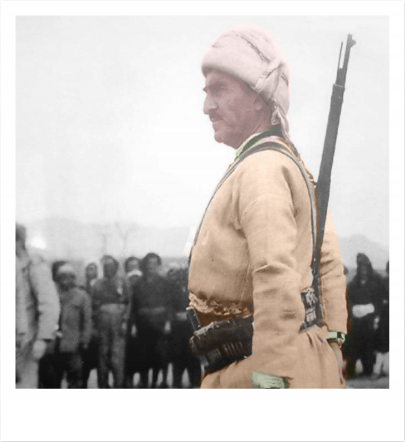 In 1932, he commanded Barzan forces resisting the Iraqi Government campaign, supported by British forces against the Kurds. with the help of Hiwa Party and other Kurds, and returned to Barzan. of General by the former Soviet Union. was President of the Party from that time until his death. former Soviet Union, where they became refugees until 1958. 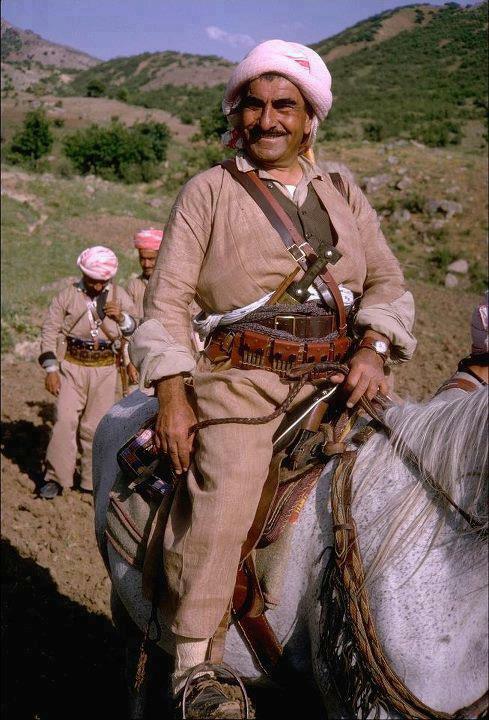 He and his Peshmergas returned to Iraq on 6th October 1958, i.e. masses, as well as officially, as a national hero. for Kurdish within Iraq, which the government subsequently reneged. treatment for his lung cancer and remained there until his death. mourned him in his funeral. 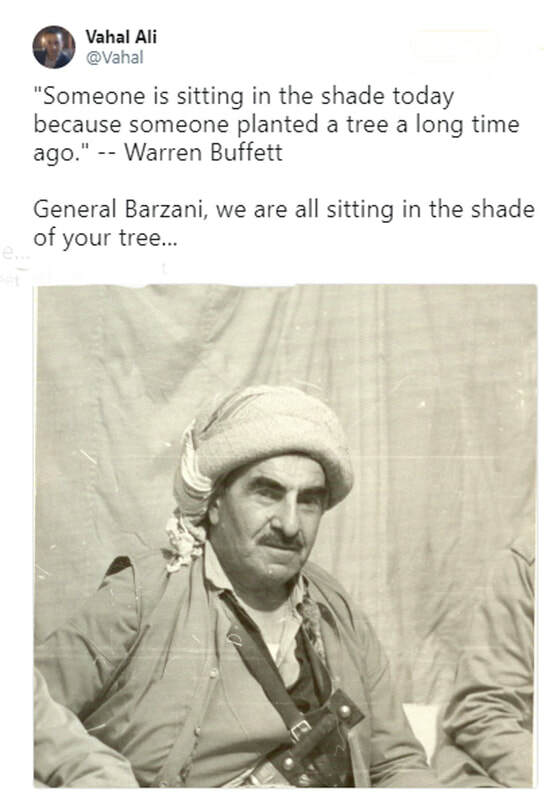 and reburied in Barzan where he was born.